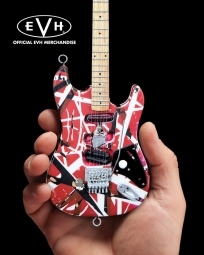 Rock your desk with this quality mousepad featuring Eddie Van Halen's iconic Frankenstrat guitar! This mouse pad is great. 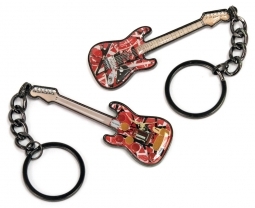 Every Van Halen fan should have one. Still looks like new after having it for over two years. I got this for my husband's birthday. He loves Eddie and needed a new mousepad. He was so excited to see this in the box. It was a great surprise that he uses everyday. Who doesn't need a little Van Halen everyday?